Can I get away from Telstra? Not really. For now. Most of our enquiries begin with a plaintive and justifiable cry of “How does this all work?” Communications is a hard thing to understand: most of it seems to work like magic, with the connecting wires otherwise invisible to us. So if you’re currently finding it all very confusing – don’t worry. It absolutely is very confusing. Click here for our top recommended ADSL2+ Home Wi-Fi plans! Call us on 1300 106 571 for the TPG Unlimited Bundle - Only $60! The internet has a very real, very solid side to it. For this refresher, we’re going to look at the most common and most practical method of connecting – Digital Subscriber Lines, or broadband over copper telephone cables. In Australia we use a standard that is Asymmetric, offering faster download speeds and slower upload speeds, so we called this Asymmetric Digital Subscriber Lines – or ADSL. ADSL2+ is the fastest and most widespread variation. The Bosses of the Internet (not their real names) settled on sending electrical data signals over copper telephone lines for a very good reason: they’re there. They’re a public utility, so every premises has one. There are alternatives, namely Broadband Over Power Lines, but those cables aren’t shielded well enough. Without getting into the physics of it, Broadband Over Power Lines seems like a great idea – you could plug your modem into any power point in the house! But it isn’t safe and the stability of your connection would be lousy. So copper phone cable it is. 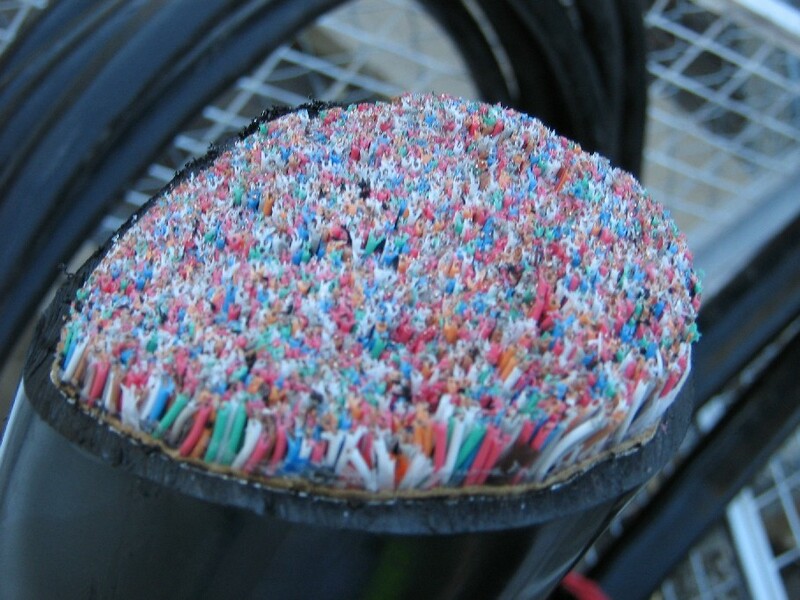 What’s inside a copper phone cable? Behind your telephone point is a cable running back to a telephone exchange. But of course, it doesn’t work exactly like that – your cable runs to a junction point (a tap at the property line), where it is ‘jumpered’ to a multiplexer – this is a general term for any electrical or communications point that takes several inputs and feeds them back through a bigger, higher capacity cable. Your feed takes several journeys, to this tap, then to a pillar, then to a big, thick cable containing the cables of about 5000 of your neighbours cables. They all lead back to an Exchange. 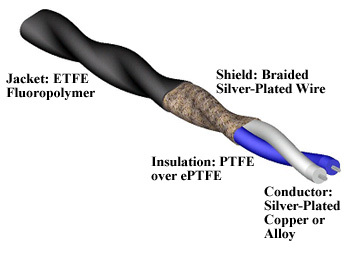 Inside your copper cable are two baby cables, twisted around each other – a Twisted Pair. They’re referred to as an inner and outer line. 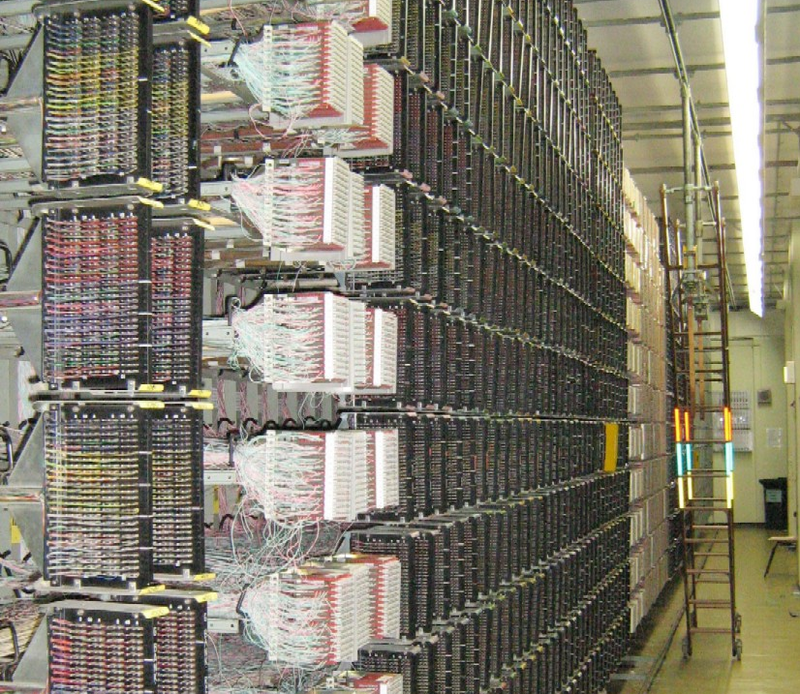 The phone lines for most built-up areas were put in several decades ago, before there was any consideration of high speed data connections. The reason there are two is to provide each premises with a) a redundant cable if something goes wrong, and b) an expansion cable for a home that wants to have two separate lines. But with ADSL, the redundant line is repurposed to carry a dedicated data signal – which is why you can use your telephone service at the same time as your internet service. But I don’t use my telephone service. That’s fair enough. In the last few years, this has become the norm, as mobile cap plans have offered an alternative to the landline telephone. But this wasn’t the case before that. Phone service is still the one considered a necessity by regulation. So up until recently, you HAD to have a telephone service to enable ADSL. But why should I pay for a service I don’t use? We hear this a lot. When people say “I don’t want a telephone service”, we understand that as “I don’t want to pay line rental for a service I don’t use”. Of course, that’s completely irrelevant. Line rental is…line rental. It’s a rental charge. For use of the line. You’re using the line for an internet connection, so you pay to rent it, right? Rent it from whom? I don’t pay a ‘line rental’ for my water service…why is it defined like that? Put very simply: Telstra are the only company that owns a Copper-Access-Network (CAN), or ‘Last Mile’ network. This is the common definition used for the line between your home and a telephone exchange. At the exchange, your line can be jumpered to equipment belonging to other companies – the big ones are TPG, Optus, iiNet, Primus and Internode. Inside the actual exchange building will be equipment that takes your line and feeds it back to that company’s Inter-Exchange-Network (IEN). So when you connect to TPG, you only connect to TPG at the exchange. The first jump from your house has to be rented off Telstra. TPG pays about $24.50 for the most basic line available (one with no battery backup to protect your line from mains blackouts, and one with no capacity for fax services and back-to-base alarms). The retail price TPG charge you is $30. If you get your line rental through TPG (or another provider), then TPG will offer a discount on the internet part of your service, in what’s known as a Bundle. You’re not provided with a telephone service because you paid $30. You’re provided with a hard-line connection to the exchange for that $30. You’re provided with the telephone service because Telstra wants you to make telephone calls. You’re not paying for something that you don’t use – you’re receiving an additional service that you didn’t pay for, in the hope that you’ll drive in a bit of extra revenue. If you don’t want to use it, don’t use it. Ok, I get that – but what if I DO need the line for faxes and such? The reason you don’t get a discount is that a) TPG don’t get a percentage of calls you make, which they do when they handle your telephone service, and b) it’s hard! The technician has to find your Twisted Pair copper wire, split it open, attach one line to Telstra’s equipment, and the other line to TPG’s equipment. That’s pretty messy. 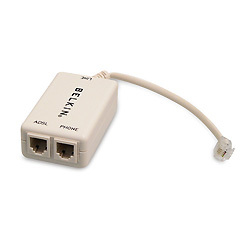 The equipment housed in each exchange that connects back to an inter-exchange-network is called a DSL Access Multiplexer, or DSLAM (pronounced ‘Dee Slam’). If you live in a metro area, connecting to an exchange where thousands of other homes connect to, then your exchange probably houses DSLAMs belonging to every major provider. In regional areas, usually only TPG or iiNet/Internode are the only alternatives to Telstra’s own DSLAMs. In rural areas, it’s usually just Telstra. What about Naked Broadband, or Naked DSL? With Naked DSL, the copper line that normally carries the phone service remains dormant. So the advantage is that the line carrying your internet service isn’t getting interrupted by ‘crosstalk’, or electrical interference, from that line. Ever seen one of these? The Filter/Splitter in the first picture is bigger because it contains a bunch of cotton. 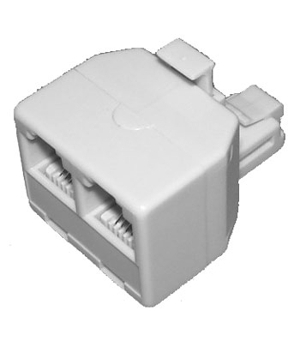 That’s used to limit the amount of electrical interference between the two wires. So, with Naked DSL, you get no interference on your internet line. So no need for a filter, and slightly better speeds, and fewer dropouts (dropouts happen when your modem says ‘this line is too erratic – let me start over and try to reconnect a bit better’). TPG Unlimited Naked DSL = $70. The line rental is just rolled into the one overall charge. The “Never Pay Line Rental Again!” advertising is only technically true in that YOU, the individual, don’t pay your own line rental. TPG still pay line rental, and then charge you for it inside your internet price. It’s marketing, designed to appeal to those who EMOTIONALLY don’t want to pay line rental. But the only real benefit is better line speeds, and that’s important for some people. What if TPG or Internode aren’t available at my exchange? Anyone can lease a port off of a Telstra DSLAM, and Telstra has parked a DSLAM in pretty much every exchange. They were paid to do this under the Howard Government’s Broadband Guarantee – every other ISP has to decide whether installing and wiring up a DSLAM (total costs about $100,000, depending on how remote the exchange is) is going to be worth it when there’s only 600 potential customers to fight over. Just a question – why is BigPond more expensive than the rest, if Telstra’s own DSLAMs are available everywhere? BigPond is Telstra’s retail internet arm. They always connect to a Telstra DSLAM. Telstra DSLAMs are always available. Ergo, they should be the cheapest, right? The BigPond answer to this would be that they provide premium technical and customer support, a more carefully monitored network, great products like T-Box and Foxtel, and the trusted Telstra name. A more cynical person might suggest that if BigPond lowered their retail price, than their parent company Telstra, by law, would have to lower the wholesale price they charge smaller ISPs like Dodo, MyNetFone and several others, for using their DSLAMs. So in other words – Telstra might make more money leasing ports on their DSLAMs to other service providers, than they do from homes that connect using BigPond. So wait – if I live at an exchange that only has a Telstra DSLAM, I don’t have to go with BigPond? TPG, iiNet Group (including iiNet, Internode, Westnet, AAPT and TransACT), and Optus have an inter-exchange networks that reach about 400 exchanges. iPrimus gets to about 200. Smaller ISPs either have very few DSLAMs, or no network at all. Dodo is a prime example here. Where possible, Dodo will lease a port on an Optus DSLAM. Optus Wholesale is pretty cheap. Sometimes, Dodo might rent a port from Agile, the network owned by Internode. Or they might rent a port from Chime, a network owned by iiNet. Or they’ll rent a port from PIPE, a network owned by TPG. But most of the time, they rent a port on a Telstra Wholesale DSLAM. Bigger companies, like TPG and Internode, can also rent a port off Telstra, in areas where they don’t have their own DSLAM. These are known as Off-Net plans (Internode calls them ‘Reach’ plans). Telstra Wholesale is expensive, so these plans are more expensive. And usually there’s not really a bundling discount. TPG won’t even bother offering phone service – you can get a Standalone DSL plan from them, but only if you have an active line already. The big exception is Optus, who right now don’t offer Off-Net service. If you’re outside Optus’ network, they can’t offer ADSL at all. Wrap it up for me. The cheapest, easiest and quickest way to get a decent internet connection, if you don’t need an actual telephone service, is to take an ADSL bundle, and then don’t use the phone service provided (a good way to avoid this is to NOT PLUG IN A TELEPHONE HANDSET). If you need a full service phone line, the quickest way to get it done is to get your phone service from Telstra, and then contact your preferred ISP for ‘Standalone ADSL2+’. If you want Naked DSL, remember that the benefits are more technological than financial. If you live out in the boonies, get your line through Telstra directly, and then choose from the cheapest Off-Net provider you can find. Even mixing it up like this gets you better value than a bundle with BigPond. The price might be the same, but you can usually get a shorter contract and/or more data for the same amount of money. No-one can afford to build an alternative to Telstra’s last-mile network. Except the people who built it in the first place: the government. The National Broadband Network will seek to replace copper with optical fibre to every home and office and shop and apartment, and will also take away control of this network from Telstra. No more conspicuous line rentals. It’ll take ten years to build (at least), but it serves two purposes: the first is to get off copper, which is not purpose built for data. Optical fibre is vastly better suited to this task, which is why it’s used for big connections like the ones linking exchanges together, and linking Australia to the world. The second purpose is to separate Telstra. Telstra has had an advantage that some people might say is unfair – they make money off their own BigPond customers, and they make money off everyone else too, in the form of line rental. Getting rid of that copper network forces Telstra to become just another retail provider who buys access from the government.